THE Isle of Man’s Nissan dealership, Athol Garage, has seen sales of the 100%-electric Nissan LEAF surge by a supercharged 800% in the last three months. 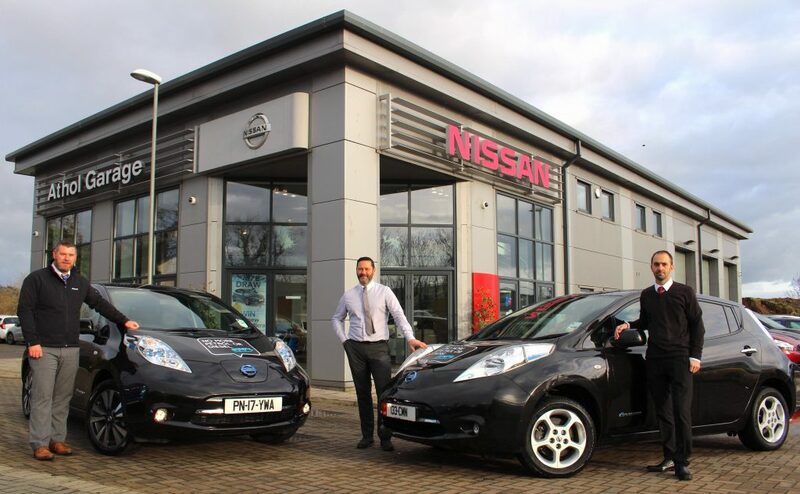 A targeted marketing strategy for the third quarter of the year and an impressive take-up on the Nissan Switch Scheme led to customers flocking to the Balthane Road showroom to make the electric switch. Almost all of the customers took advantage of Nissan’s offer of a free home PodPoint charging station, and they will also have the benefit of using the Island’s growing infrastructure of public charging points. David Quayle, Owner and Sales Director, added: “It’s wonderful to see so many of our customers make the switch to electric driving and it’s thanks to the hard work of our team and Nissan’s excellent current offers. If you would like to know more about the offers available on the used Nissan LEAF, or would like more information about the imminent second generation LEAF, please drop us a line on 820082 or contact us.